The product page includes meta tags for the product name, description, price, currency, availability, condition, and weight, along with custom, featured, and WooCommerce product gallery images. 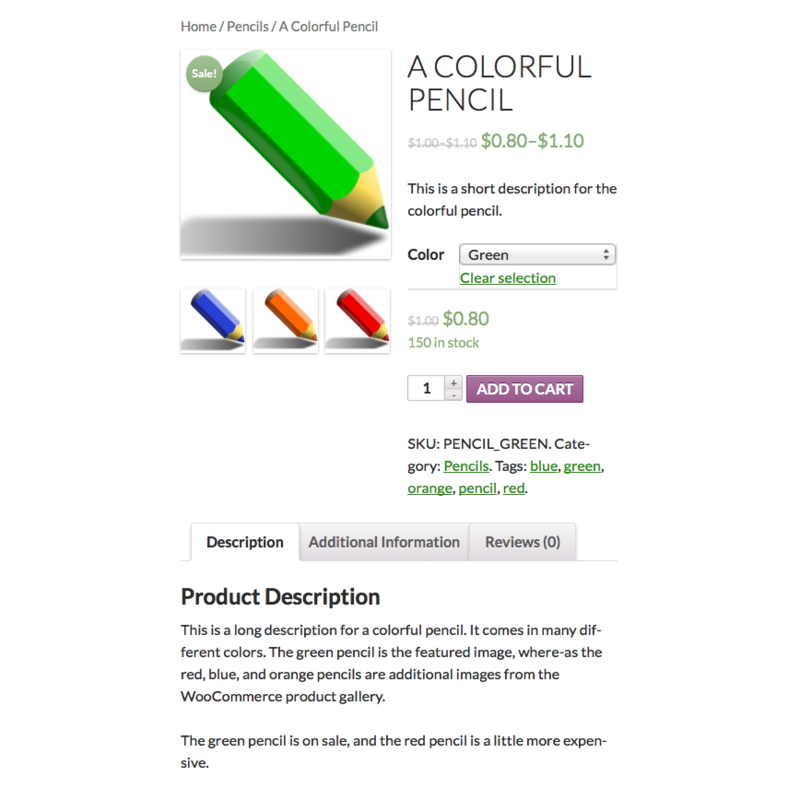 The product category and tag archive pages include meta tags for the WooCommerce category / tag description and its image. The WPSSO Schema JSON-LD Markup Pro add-on can also be used to include additional information about the product and all its variations (see example below). Support for the WooCommerce ‘product_tag’ taxonomy, so product hashtags can be added to the Open Graph, Pinterest, and Twitter Card descriptions. The cart, checkout, and account pages are assigned static description values (“Shopping Cart”, “Checkout Page”, and “Account Page”) to prevent unwanted text in meta tag description fields. Here’s an example WooCommerce product page using the WordPress 2014 theme. The product is available in several variations, with different prices and additional WooCommerce gallery images. The complete Facebook / Open Graph, Rich Pin, Twitter Card, and SEO meta tags for this example product page. The WPSSO Schema JSON-LD Markup Pro add-on can be used to include additional and extensive information about the product.